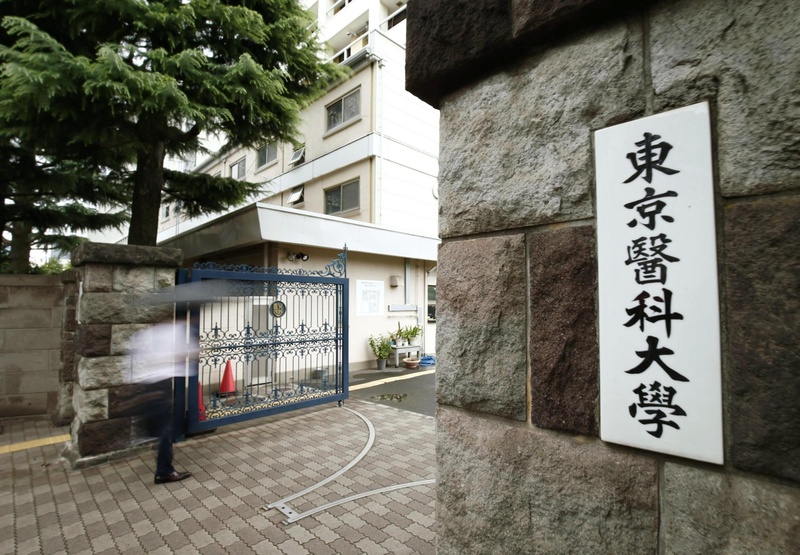 The education ministry said Tuesday it will not provide any subsidies to Tokyo Medical University for this or the next fiscal year after the institution was found to have discriminated against female applicants in its entrance examinations. The ministry said the decision is based on the indictment last year of university leaders over the backdoor admission of a bureaucrat’s son in exchange for a government subsidy. Seven other universities that were similarly found to have manipulated their entrance exams will also have state subsidies reduced, according to the ministry. Among them, Nihon University will face a 35 percent cut in the current fiscal year through March. In addition to admissions anomalies, the school’s management was called into question over a dangerous late tackle by one of its American football team members that injured an opposing team player in May last year. The foul play had been ordered by two coaches. The six other universities — Fukuoka University, Iwate Medical University, Juntendo University, Kanazawa Medical University, Kitasato University and Showa University — will face a 25 percent cut in fiscal 2018. “I demand that each university ensure the fairness of its entrance exams,” education minister Masahiko Shibayama said at a news conference. Private schools in Japan receive state subsidies depending on the number of students and teachers. In fiscal 2017, Tokyo Medical University received ¥2.3 billion and Nihon University ¥9.1 billion. Government payment of subsidies for fiscal 2018 was pending for the schools. 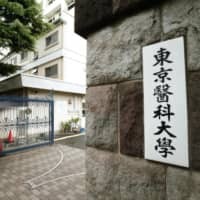 Tokyo Medical University admitted in August it had been deducting points from exam scores for over 10 years to curb the enrollment of women, as well as men who had failed the exam previously. Nihon University later said it had favored applicants who were kin of graduates. The unfair treatment of female applicants at Tokyo Medical University was described as being aimed at preventing a shortage of doctors at affiliated hospitals, in the belief that women tend to resign or take long periods of leave after getting married or giving birth. The university also disliked accepting male applicants who had failed in the past because they tended to fail the national exam for medical practitioners, which would bring down the university’s ratio of successful applicants and hurt its reputation. The effect of a government suspension of subsidies are not limited to a single fiscal year, but are applied in the following fiscal year as well. From the third year, subsidies increase in stages by 25 percentage points. The full amount would be restored in the sixth year — fiscal 2023 for Tokyo Medical University — if no further law violations are found. The Education, Culture, Sports, Science and Technology Ministry uncovered a number of improper practices in medical school admissions following a probe into the country’s 81 universities with medical faculties. The probe was conducted in August following the revelations at Tokyo Medical University.